HHS Secretary Contradicted Scientific Evidence On Opioid Treatment : Shots - Health News Nearly 700 experts signed a letter to HHS Secretary Tom Price asking that he correct remarks in which he called medication-assisted treatment for addiction "substituting one opioid for another." Secretary of Health and Human Services Tom Price contradicted his agency's online information about the efficacy of medication-assisted treatment for opioid addiction. The medicines Price referred to are methadone and buprenorphine, both of which are opioids. The letter notes that there is a "substantial body of research" showing the drugs' effectiveness and that they have been the standard of care for addiction treatment for years. The drugs tamp down cravings and prevent withdrawals, helping people suffering from addiction to stop misusing prescription or illicit opioids and to get back to living productive lives. Experts say Price's remarks, made last week to the Charleston Gazette-Mail, ignore the primary benefits of such medications and go against scientific evidence. "I was just totally gobsmacked," says Brendan Saloner, an addiction researcher and assistant professor at the Johns Hopkins Bloomberg School of Public Health. "I couldn't believe we were having to reopen this conversation. It totally flies in the face of all the evidence," Saloner says. "These drugs are highly effective in restoring a sense of normalcy in people's lives." Price instead touted treatment with a third addiction medicine, Vivitrol, a brand name formulation of naltrexone, which is an opioid blocker. All three drugs — methadone, buprenorphine and naltrexone — have been shown to help reduce relapse and keep people in treatment. "Instead of talking about getting the right medication to the right patient at the right time, [Price] actually maligned the use of buprenorphine and methadone," says Dr. Corey Waller, an addiction psychiatrist who heads legislative advocacy at the American Society of Addiction Medicine. Addiction experts say that Price's remarks are consistent with widespread but inaccurate views on the use of buprenorphine and methadone, also known as opioid maintenance therapy. They worry that the secretary's comments perpetuate those views. "It's not replacing one drug for another, because we define addiction based on behavior, not on the absence or presence of a drug," says Waller. 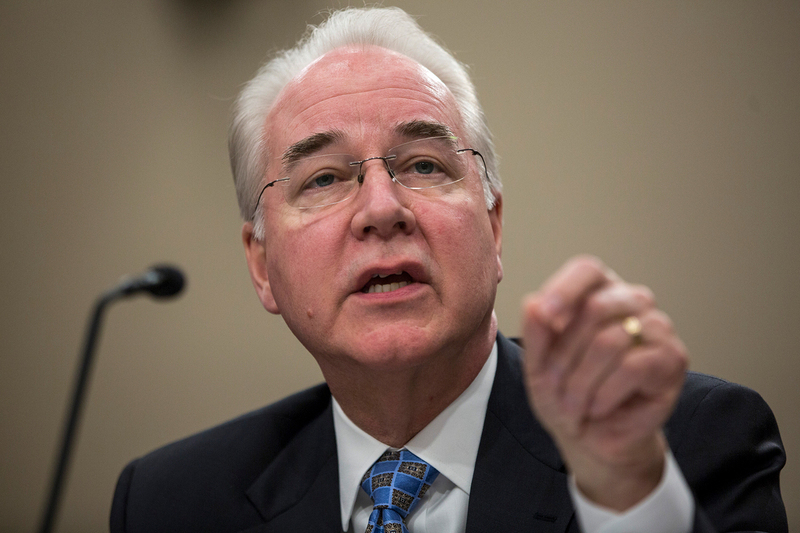 An HHS spokesperson, Alleigh Marre, wrote in an email that Price's remarks did not signal a shift in the department's policies regarding the drugs. "One of the five pillars of the secretary's strategy to combat the opioid epidemic is expanding access to treatment and recovery services, including medication-assisted treatment," she wrote.